SkyPlanner Blog - Salesforce news and cloud computing updates. : Content Is King So How Does Your Company Become Royalty? Content Is King So How Does Your Company Become Royalty? Facebook posters, newsletters writers, how-to tutorial writers and others. Today’s brands aren’t talking to their audience solely through magazine ads and television commercials. No, today, brands and their ambassadors can engage with their customers through various, more casual ways, even one-on-one. Salesforce Marketing Cloud is a true testament to that. The cloud computing company allows for companies to listen to what is said about them in the social world, engage with the people and answer back. 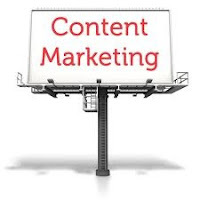 It also allows companies to tailor their content to what they think is wanted. SkyPlanner Partners, your Miami Salesforce consulting company, has definitely seen its business go social with more of our team connecting and engaging with our community out there, from esteemed clients to vendors and potential leads. So how do small and medium businesses also compete in this content-driven world? The most basic rule of thumb and one that helps companies tremendously is as simple as setting up a schedule or calendar or some sort. At SkyPlanner Partners, for example we have committed ourselves to posting blogs twice a week to interact within social media. With a schedule, you’re sure that it’s done, published, and most importantly out there. Because without the actual content, nothing else can get done. Remember to look at comments to your various social postings, try to answer as most often as possible with either by turning the comment or concern into a blog or case study or answering back in a one-on-one method. Your Miami Salesforce consulting company reminds you that sharing the content you create is very important. Think of all the ways you can publish or distribute your content so as to reach the most people on social media. Make sure it’s relative to your audience. For example, SkyPlanner Partners distribute our blog through LinkedIn and our Twitter, because most of our followers are part of the cloud computing industry. Listening is a big part of content creation. Your customers and your social world will tell you what they want to know, all you have to do it hear them out. Your social media marketing strategy also includes reaching out to other bloggers and companies/people that are creating their own content. You can definitely join forces or invite them to be a guest blogger from time to time. How does your company create content?